With the growing wellness industry, it is necessary to keep experimenting with the services in order to remain in the game. Introducing a new service is always a risk for brands but if the service becomes popular, the risk feels worth taking. 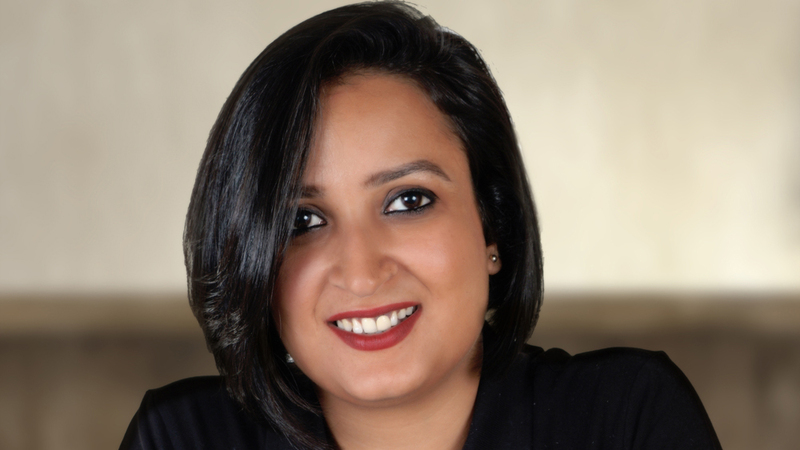 In a conversation with Geetika Dhawan, Co- Founder, Engee Wellness, we find out what led the brand to venture into foot reflexology and the plans they have for their brand, Engee Wellness. How did the idea of Engee wellness, which boasts of India’s first foot only reflexology chain, come up? I have been in corporate for almost 12-13 years and I was handling international sales. So, I had to travel a lot internationally because of my job. It was last year when I happened to be in Thailand for the vacation where I stumbled upon a foot spa. It was at that moment that I realised that we do not anything like this in India and we all definitely need one of these. We wanted only foot spa because we simply wanted to stay away from the idea of private rooms. There is a lot of stigma around private rooms and the way spas are treated in India. The idea was to create a clean and neat setup with professionals and therapists who are trained in doing proper reflexology. So, it becomes a relaxing and rejuvenating experience for those who are actually looking for a spa and nice massage. I discussed the idea with Nishant Singhal, who is the founder of Engee Wellness, and we both decided to bring it up. Kindly let us know about your entrepreneurial journey. Nishant Singhal has co-founded multiple ventures but for me, this is the first one. It has come out the way we had imagined it to be. This concept is very much needed in India so I knew it would do well. Once we had started it, the way customers responded, how we got 40-50% repeat clientele and how 99% of them leave happy, the response has been overwhelming. The journey has been good till now and with the series A round funding, I am very elated. What has made your brand emerge as No. 1 wellness provider as per customer ratings? When we came out with our first outlet, we had really put our blood and soul into it. Everything which is at our spa is handpicked, starting from the look and feel, vibe, music, fragrance, the therapists who will be doing the messages, their uniforms, the procedure for massages and many other things. So, we have put in a lot of hard work behind it before and after starting it. We personally interacted with them and we kept on improving with every feedback we got. So, I guess that’s all worked and since we are in the service industry, it is the most important thing. We made sure the people we hire are really good, professionals, well-spoken and trained. So, I think that has helped us. What services are the customers receiving through your brand? Since it is already known that we do not have any private rooms, we do not have any full body massages. We have multiple therapies with very interesting names. There is a therapy called ‘Heal the Heels’ where we do 30 minutes of foot reflexology with hot oils. We have 60 minutes therapy called ‘Pamper my Soul’ where we also include head, neck, back and shoulder massages along with 30 minutes of foot massages. We also have 30 minutes only back massage which is called ‘Back Magic’ and all these are done on luxurious recliners that are custom made. Other than these services, what all categories are the brand planning to venture in? We would eventually introduce more massages like Ayurveda massages, international head massages etc. So, we would introduce more categories in the massages. We are planning to keep our services very standardised because we actually plan to open many more outlets. So, we want to keep that number very limited so that we can maintain the quality and standard of our service. If you have too many services then standardisation becomes very difficult. We already have organic products called Thaiway Organics where we have organic massage oils which are made with herbs. Then we have lip balms, scrubs and face packs which are already retailing through our outlets. Let’s talk about the funding raised by your brand. Sumeet Kapur believes that if the services of a brand are good, one should definitely invest in that brand. He has experienced our services and that is how he got interested in our brand and invested in it. The similar thing happened with Mobikwik. We also had some previous connections who had visited us and we discussed the model with them. So, that is how we raised series A funding. It is always hard for people to believe when we tell them, so we ask them to come and experience themselves. What are your views on the Indian Spa Industry? The idea that I and Mr Nishant decided to come out with Thaiway foot spa and reflexology was to break the stigma around the spa industry because how the spa industry is treated in India is not very soothing to ears. So, we thought of entering this space where there is a lot of stigma and taboo around it. Even if people go to spas, they choose the best ones which are very expensive and not in reach of everyone. So, we entered this market in order to target masses along with classes as our idea is to break the stigma. The way Spa industry is treated in India is not nice as we have interacted with our clients here. What is your business model and how is your brand expanding itself at present? At present we have two outlets and we plan to go PAN India for sure. We are planning to open 5-6 more in the next six months in Delhi-NCR. As we have raised series A fund and this will help us open 5-6 more outlets and after this, we will probably raise another round and then go expanding PAN India.